I got pretty fueled about proposition 37. This “opportunity” we had to label GMO food meant (to me) that my friends and family who are not already in the loop about the dangers of these genetically modified foods– would be given a clearer choice. But, last I checked…the proposition didn’t pass. Pretty much every fruit, vegetable, meat and grain that we put into our mouths has somehow been manipulated by humans to taste and grow a specific way. 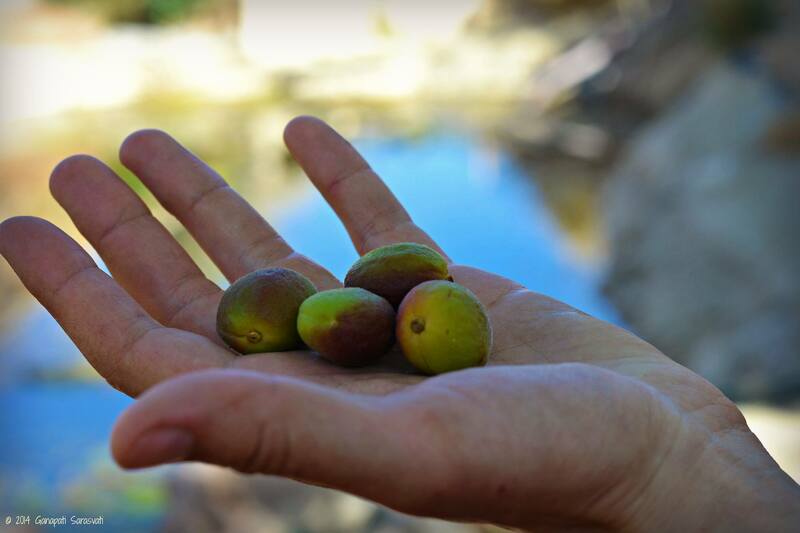 This is called “farming.” Simply put — wild, natural foods are different than farmed foods. Farming, over time, has changed the way that we humans eat and has changed the quality of our health and soil. All is as it should be. But, this did happen. As part of our free-will, we gave up our wild-natural side, learned how to control things and made our mark on planet Earth. And, I feel we have done amazing things. I am grateful for technology and science. Genetically Modified Foods or “GMOs” as considered in Proposition 37 refers to the deliberate manipulation of food cells, splicing fruit cells with those of animals, for example, to get a specific effect. Currently, the public statements are that GMO foods help food last longer and require less human work to maintain. They are resistant to bugs and spoilage. And, that they are essentially freaking awesome and you don’t need to know much more about them. But, the independent media has done an outstanding job spreading the truth. The Obamas have an “organic garden” but wouldn’t publicly endorse our right to eat clean and organic. It’s not sad. It’s empowering. It means it’s time to wake up and learn for ourselves about what is good and healthy to eat. It means educating those around us and UNDERSTANDING that during this time of huge change, we may all be in different places. We may have different opinions. The illusion here would be that there is some kind of enemy. We are all one. Remember that as you dig in to discover what is right for you. GM food enthusiasts boast about things like ending world hunger and reducing diseased plants. And, they’ve recently spent millions of dollars pre-election day, bombarding the US with commercials and ads (thank goodness I don’t watch TV…but my Facebook page was inundated) about why their wonder foods don’t need to be labeled and why you don’t need to know when you’re eating them. In order for these foods to be pest-resistant, their seeds are infiltrated with toxins. Neuro-toxins and others. We now have a genetically modified corn that can make people sterile as well. What kills off plant invaders also enters our bodies as part of the food. What do you think it does to us? Funny thing is that these pest-resistant plants don’t require less pesticides. They haven’t ended world hunger. And, the planting of monoculture commodity crops are not going to feed people in need. So much of them are being used to feed factory-farmed animals. Since when do cows need to eat soy or corn? Monocultures (1 crop farms) create imbalance in the soils, reduce the Earth’s natural ability to heal herself, and therefore require more work to get rid of pests and the like. We are left with soil that is very mineral deficient. It’s difficult for the public to get a handle on the safety of such foods when the research on them is……well, where the heck is it? Fortunately, recently Dr. Joe Mercola shared some very valid detrimental facts regarding the consumption of GMOs in rats. We find them causing tumors and cancer quite quickly. I’ve tested these foods on myself both knowingly and unknowingly. I get almost immediate heart pain when I consume genetically modified corn. My son gets red hot skin and a rapid heart beat. He is someone who has recovered from autism and he’s very sensitive to the unnatural. And, it is my belief that autism is perpetuated by the continued “effing” of Nature that we do through our food and water system (and all of the “systems”). If you read about codex alimentarius, you will understand that the idea of population control and mind control through our food system is a real concept that has been used by Hitler and perpetuated by the same people who promoted concentration camps. Our bodies respond accordingly to what we consume. Things like fluoride in your water and UN-nutrition in your GM food literally block your joy response, make you complacent, and attack your natural intuitive power at your pineal gland. This is a physical brain reaction to franken-foods. But, like I said, all as it should be. You now have the power to turn things around and create a ripple. One way to side step GMOs is to know the “code” on produce stickers, and understand which companies supported Proposition 37 (wanted mandatory labeling of GMOs for consumer benefit), and those that did not (did not want GMOs to be labeled, to keep consumers in the dark). You can get that information in the handy visuals, below. Knowing what foods are conventional, GMO, and organic, and where companies place their alliance, goes a long way to you making better choices, and shaping the future food culture. In addition to that, learning how to make your organic, whole foods even more nutritious will allow you to win back your health. An excellent way to do that is by eating more fermented (cultured) foods. Garlic is such a wonderful antibiotic/anti fungal and so much cheaper than most other supplements out there. You can decide to use this as medicine… or as a probiotic addition to salad dressings, dips and sandwiches or both. The garlic gets softer and easier on the palate. You can eat whole cloves, and use the oil in dressings or to ferment more garlic. As much as I love chocolate, it never really sat right with me until I started to ferment it. It’s acid-forming in the body and can feed candida. I found this to be a really satisfying and non- addictive way to enjoy chocolate, as well as a great way to hide supplements if you have to. Add ins: sea salt, cacao nibs, and mesquite; cherries, cayenne and sea salt; maca, mesquite and lucuma, cinnamon, maca, mesquite and lucuma, spirulina and mint. For Fudgy Wows – replace cacao butter with coconut butter. Or do a half and half mix =YUM! Hope you enjoy these and feel empowered to add them to your arsenal of natural healing tools. I’m the kind of person who wants to know the truth, no matter what it is and who can THRIVE regardless of what crazy information might come up. Know yourself and what makes you tick because you create your reality, and if the GMO thing brings you down –you definitely don’t want to stay living in that vibration. Focus your attention what what you want to do, what you want to eat, how you want to be. Focus on high frequency emotions like gratitude, which allow you to transmute that which doesn’t serve you. You will best serve the rest of the world by being TRUE to you. 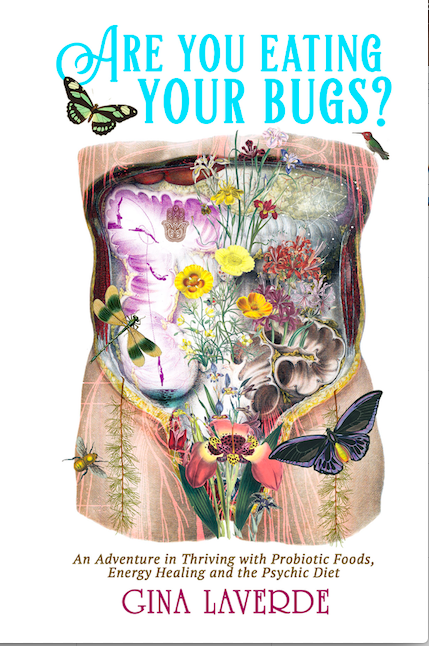 Have you seen my new book, “Are You Eating Your Bugs?” I’d love for you to get a free excerpt to help you analyze your digestive prowess. You can get it for free, here. I’d love to help you create bliss in your life through healthy eating! Contact me for your personalized session!